Shake this perfume gently before use. Nightgown is an uncomplicated yet sensual and very creamy floral fragrance evoking the image of a gorgeous satin nightie with lace trim. It fits like a second skin and is the perfect attire for lounging and snuggling. This perfume is the representation of the fabric itself: beautiful, plush, sweet and delicate with white velvety petals from exotic flowers that entrance you with aphrodisiac qualities. The floral notes are very creamy, well rounded and tame while still being detectable and not too heady, sharp or perfumey. The dominant notes are a vanilla accord blended with a touch of divine white chocolate. The floral notes are present on initial application and for some time on the skin though on the long term dry down they will recede and the vanillas and white chocolate will be predominant. 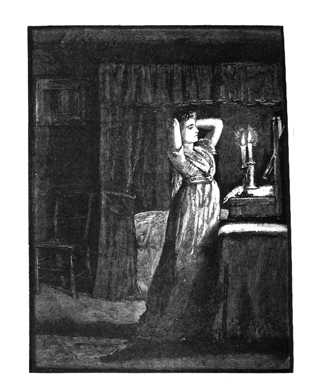 If you like the vanilla accord in Manor and Snowshoe Pass, it makes a striking appearance in this blend! Nightgown is wispy, innocent and mysterious at once - like feathers and a gently strummed harp. 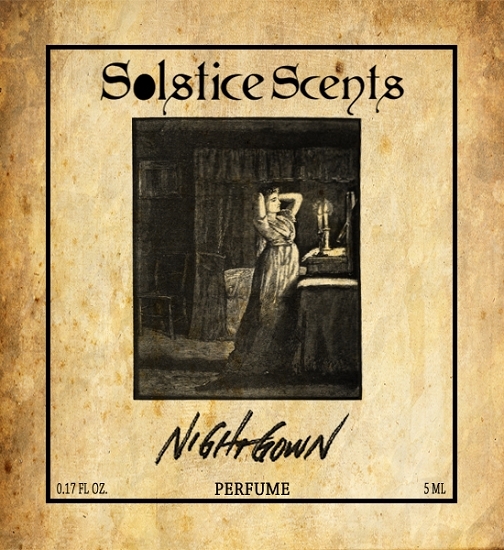 For independent reviews of this fragrance, please visit the Nightgown thread on the Solstice Scents Forum by clicking HERE.